Designed specifically for a women's foot, offering versatility and an engineered fit, be at your best when lacing up in these Grace Ladies Training Shoes in Berry, Wine, Lilac and White. 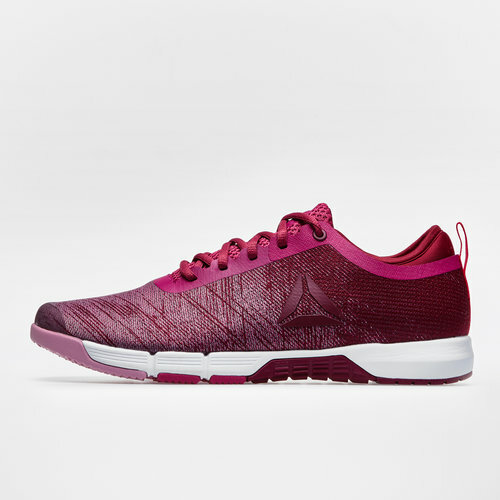 These ladies training shoes from Reebok are versatile enough for you to wear both on the road and in the gym, whether getting stuck into a CrossFit workout or taking on a marathon you've got all the support and traction you need with this Grace ladies training shoe. Technology including the 3DFuseFrame add protection to the shoe where it's needed the most whilst IMEVA Foam cushions and stabilises the foot throughout the action.